I’ve had a couple of interesting conversations lately with users of the Fritz “family” of playing programs (Fritz, Rybka, Hiarcs, Junior, and Shredder) who weren’t quite sure what “Infinite analysis” does, or, in one case, what it can do for them. “Infinite analysis” has a lot of uses, all based on the idea that you feed a position to the chess engine and let it chew on the position to find the best sequence of play. It’s not terribly different from the way we human analyze when we’re playing a face-to-face game: we try to figure out the best move, followed by our opponents’ best reply, followed by what we’d do next, etc. – it’s the old “If I do this, he’ll do this, then I’ll do this…” thing. The difference is that a chess engine will look much farther ahead (“deeper”) than any human could do, as well as pick better moves than we average players would normally choose. The value of this feature should be instantly apparent: in home analysis we can double-check our own ideas to determine their validity. If I come up with something I think might be a “novelty” in an opening I play, I can use a variety of chess engines to look for “holes” in my thinking or responses I might have overlooked. 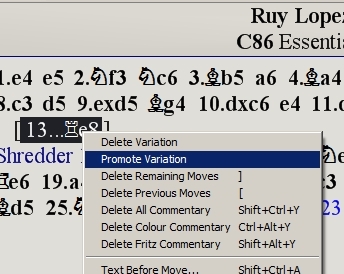 In fact, many top-level chessplayers check their homebrew analysis in exactly this way. About fifteen years ago, Garry Kasparov was quoted in ChessBase Magazine as saying he used Hiarcs in “Infinite analysis” mode to double-check theoretical novelties before he introduced them into professional play. Why “Infinite analysis”? And why is it called that? Infinite analysis gets its name from the fact that the engine will analyze a position until you stop it, in other words, infinitely (at least in theory). You could take a opening position and have Fritz/Rybka/etc. analyze it for an hour, a day, a week, a month, and (barring power outages or other mishaps) when you come back to the computer the engine will still be analyzing that position. And why would you want an engine to analyze for an extended period? As we’ve learned in previous blog posts, the longer you allow a chess engine to analyze a position, the better the moves you will receive in return. Let’s look at a simple practical application. 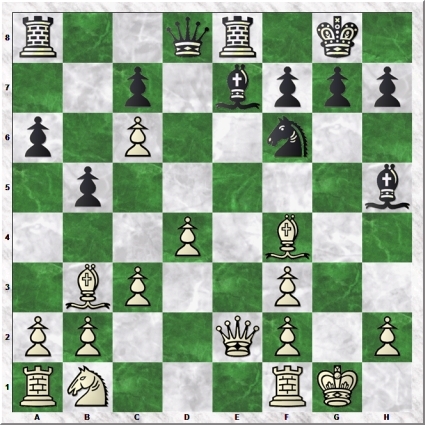 I’m looking at an opening variation in a chess book, a variation from the Ruy Lopez Worrall Attack: 1.e4 e5 2. Nf3 Nc6 3. Bb5 a6 4. Ba4 Nf6 5. O-O Be7 6. Qe2 b5 7. Bb3 O-O 8. c3 d5 9. exd5 Bg4 10. dxc6 e4 11. d4 exf3 12. gxf3 Bh5 13. Bf4 Re8. But I’d like to show you something a bit more elaborate which will allow you to save the engine’s analysis as part of your database. …after which I can use “Replace game” to save the analysis into the database. Since Shredder12’s analysis has been copied to the notation, I can play through it to closely examine what the engine thinks are the best moves for both players; in other words, I’m not getting only the best move for White in the original position, but I’m also seeing how Shredder thinks the game should progress thereafter. Comparing the analysis of two or more engines is a handy way to confirm a particular course of action in a given position. 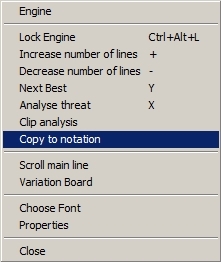 The amount of time you should allow Infinite analysis to run is totally up to you. Kasparov (and other top players who’ve publicly discussed the technique) let the engine run overnight. Bear in mind, however, that each ply (move) added to the search depth exponentially increases the number of positions which the engine must evaluate; there will quickly come a point where it can easily require an hour or more to add just one extra ply to the search. So the trick is to find the happy medium in which you’re satisfied with the depth of the search compared with the time required to produce the result.